David Busch's Nikon Z6 Guide to Digital SLR Photography from Rocky Nook is your all-in-one comprehensive resource and reference guide to the feature-packed Nikon Z6 camera. Filled with how-to steps and full-color illustrations, this book covers the camera's abilities in detail, from taking your first photos through advanced discussion of setup, exposure, lens selection, lighting, and more. Included is a straight forward guide to the Z6, complete with close-up photos and descriptions of the camera's essential features and controls. With best-selling photography author David Busch as your teacher and mentor, you'll soon have the knowledge and confidence to master your camera's capabilities. 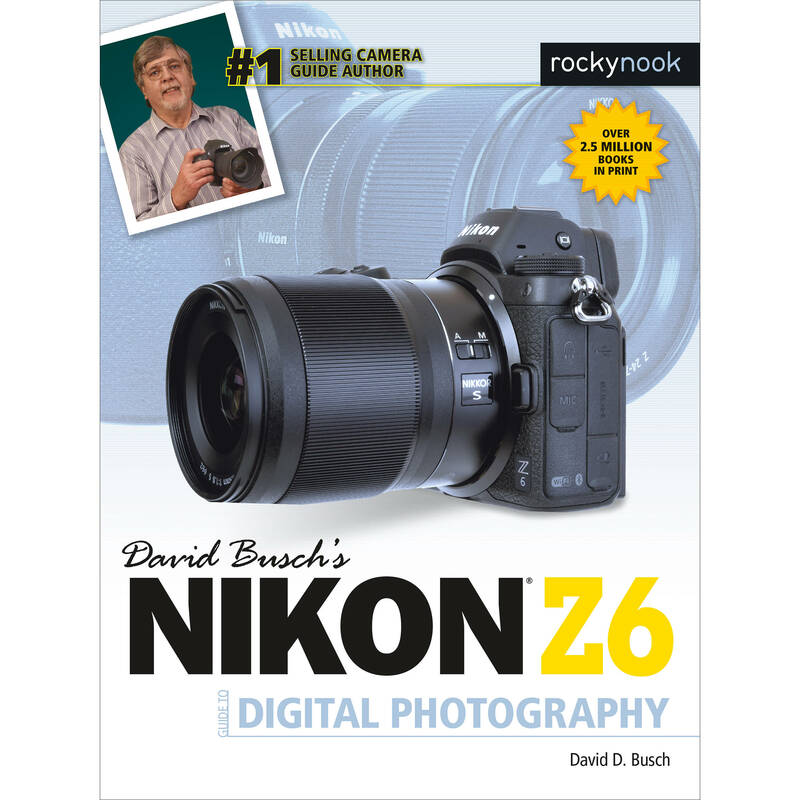 Bring your creative vision with the Nikon Z6 to light and pick up a copy of this book today. Box Dimensions (LxWxH) 9.1 x 7.1 x 1.1"